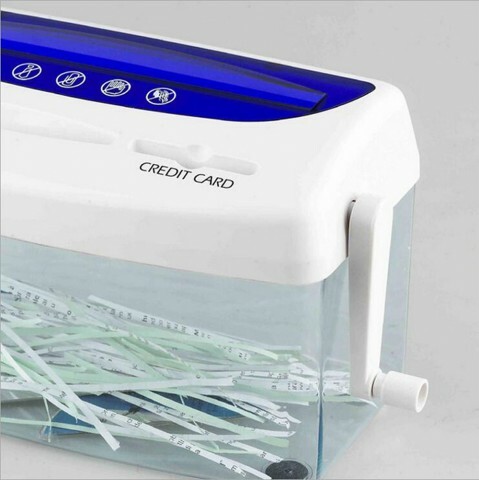 - Manual Paper Cutter has transparent body enables you to check whether you should clean it or not, and the hand crank can be taken down when not use. - Low noise, smooth rotation, high efficiency and time saving. 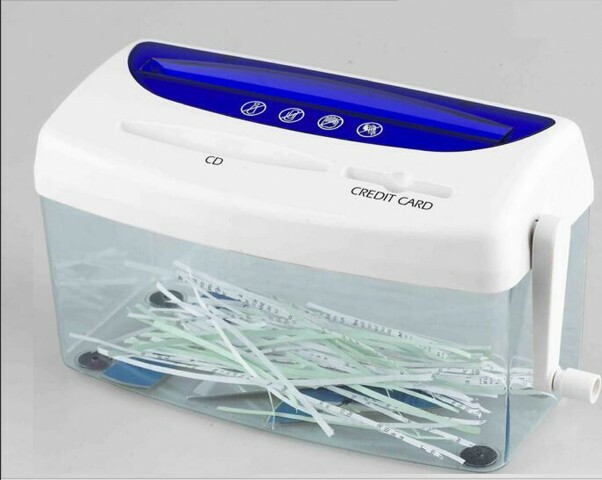 The paper shredder with wastebasket, keep your desk clean. 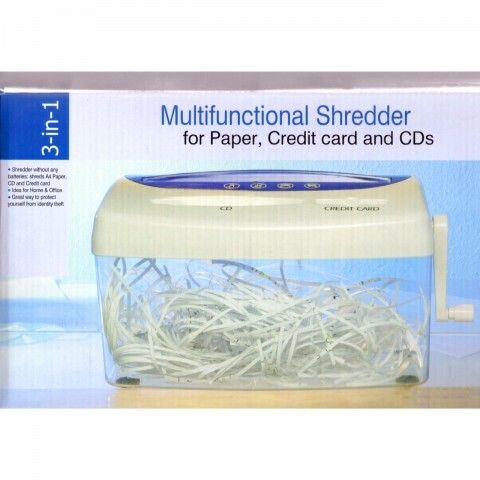 Hand shredder, no electricity consumption, durable and eco-friendly, low noise to use. The paper inlet width is 215mm, CD inlet width is 125mm, card inlet width is 57mm. 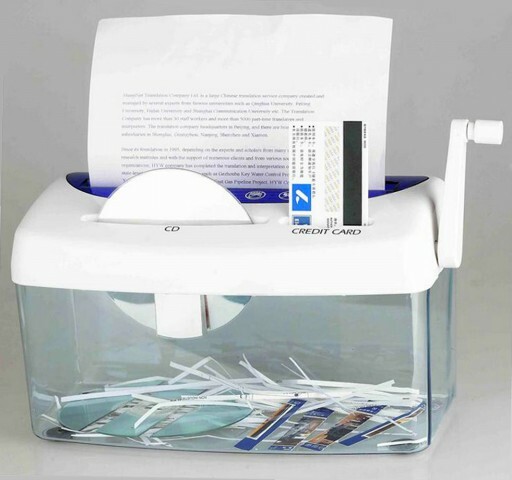 After cutting, the paper strip is 3mm(W), it is good to protect your information and privacy.